Green Kids Crafts is a kids craft subscription service that is ideal for summer craft activities. What a great way to introduce children to crafting that is eco-friendly, fun and educational. The business was recently awarded the coveted Seal of Approval from Green America. Green Kid Crafts sets the bar high for environmental sustainability and social justice. Founded in 2010, Green Kid Crafts is a kids craft subscription service. With Green Kid Crafts, parents and kids can enjoy earth-friendly, monthly projects that spark creativity and cultivate respect and love for the environment. 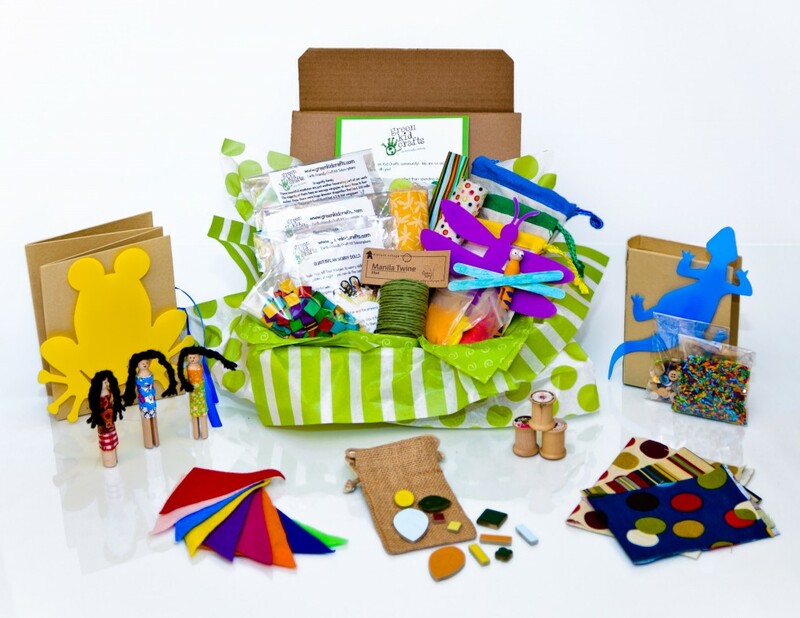 The green craft kits are an inexpensive tool for parents and teachers to use to educate children about recycling, reducing waste, and protecting the environment. Suitable for kids ages 3-8, three of their craft projects are delivered to kids every month. All materials are included in the package, making it one-stop shopping for child engagement. Every project kids create with Green Kid Crafts is earth friendly. The company avoids plastics and foams in favor of supplies that are natural, recycled, and good to the earth. They use minimal and 100% recycled shipping materials, and all of their craft projects are packaged in plant-based, compostable cello bags. Green Kid Crafts offsets 100% of the carbon dioxide generated by business activities and helps fund the development of renewable energy projects across the United States. Like so many children’s products, Green Kid Crafts is a mother’s invention, born out of need. Green Kid Crafts has just been awarded the Green America Business Seal of Approval. The seal is presented to businesses that go beyond product and service quality to set the highest standards in environmental sustainability and social justice, and work to solve, rather than create, environmental and social problems. To be considered for the Green America Business Seal of Approval and earn a listing in the annual National Green Pages™, a business must complete a rigorous screening process to ensure it meets Green America’s standards for the environment, community and labor. Monthly memberships are available for $19.95. Gift subscriptions are also available for three, six, or twelve months. The company’s products are sold through its website. You can get wonderful ecofriendly craft ideas from their blog too – check it out! Happy summer crafting!! !